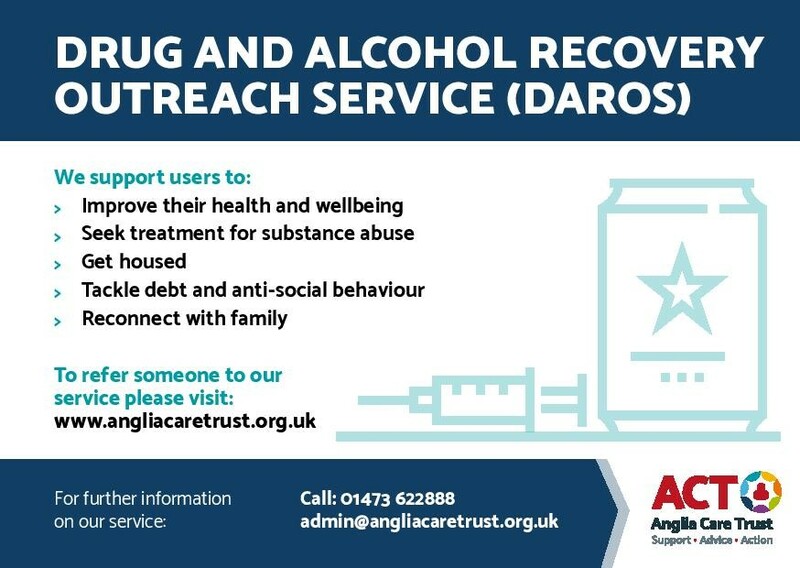 Public Health have recently announced that the new contract for the DAROS (drug & alcohol recovery outreach service) has been awarded to Anglia Care Trust and began on 1st April 2019. The DAROS service has historically existed in Ipswich, however the new contract allows for a wider reach and now covers the county of Suffolk. 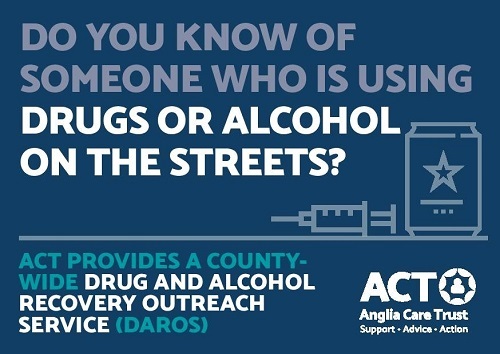 DAROS exists to improve the health and wellbeing of substance misusers who are homeless/rough-sleeping and supports people to access treatment through Turning Point as well as helping to address other complex issues, including housing.